Lisa Willcox joined Hutchinson Black and Cook in 2017, after spending two summers with the firm as a summer associate. 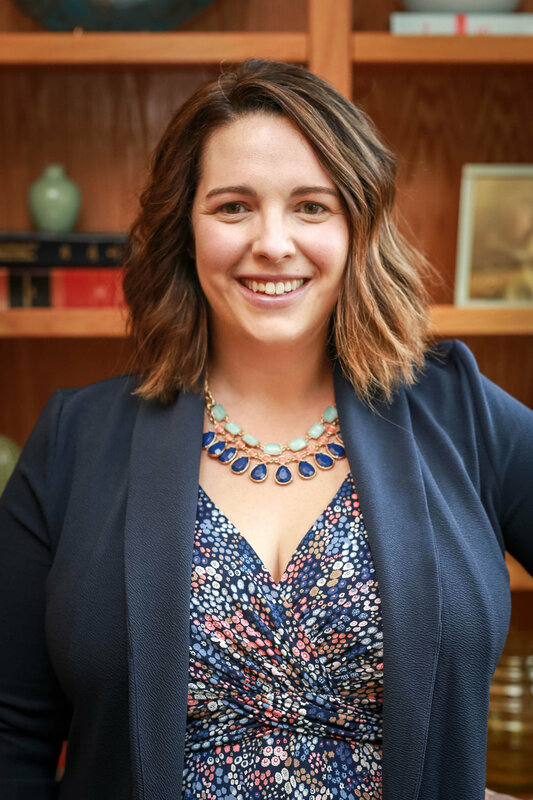 Her practice focuses on estate planning, probate and trust administration, as well as estate, gift, and income tax planning for families and individuals, and the administration of uncontested guardianships, conservatorships, and decedent's estates. During law school Lisa interned for the Honorable Gail Nichols in Colorado's 9th Judicial District Court in Aspen, Colorado. She also worked as a research assistant for Professor Andrew Schwartz and as a Teaching Assistant for Legal Writing and Appellate Advocacy. Prior to law school, Lisa worked as a project manager and business analyst for software development, as well as providing technical writing support for project reports. Outside of work, Lisa enjoys spending time exploring the Colorado mountains, including family hikes, downhill skiing, and day trips to State and National Parks. On Saturdays in the fall, Lisa and her family can be found in maize and blue, cheering for her alma matter. • Constance Tromble Eyster and Lisa C. Willcox, Common Mistakes in Planning with Retirement Benefits, Trust and Estate Fall Update 2018, CBA-CLE, November 9, 2018. • Griffin Bridgers, Susan L. Boothby, and Lisa C. Willcox, Powers of Appointment Primer, Part 2: Taxation of Powers of Appointment, Colorado Lawyer, Vol. 47, No. 8 (August/September 2018). • Susan L. Boothby, Lisa C. Willcox, and Griffin Bridgers, Powers of Appointment Primer, Part 1: The Colorado Uniform Powers of Appointment Act, Colorado Lawyer, Vol. 47, No. 6 (June 2018). • Panel: Top Tips and Tricks for Using Orange Book Forms, moderated by Peggy Gardner, Panelists: Alison Leary, M. Anthony Vaida, Lisa Willcox, and Heidi Glassman, Orange Book Forms: Colorado Estate Planning Forms, CBA-CLE, December 8, 2017. • Lisa C. Willcox, You Can't Choose Your Family, But You Should Choose Your Co-Tenants: Reforming the UPC to Benefit the Modest-Means Family Cabin Owner, 87 U. Colo. L. Rev. 307 (2016).